Vāgbhaṭa, an eminent scholar and physician of ayurveda whose works are popular even now amongst ayurvedic physician of India and abroad, is unfortunately shrouded with controversies regarding his genealogy, time, habitation, religious faith and the works he composed. Because of temporal vecissitudes, the sectarian quarrel was at its apogee in the medieval period and Vāgbhaṭa who was a follower of Shaivism was later converted to Buddhism. His Pre - Buddhist name was Aśvaghoṣa and had composed many works like Buddha - carita of great poetic merit. His poetic excellence is reflected in his compositions of the Aṣṭāṅga - hṛdaya. 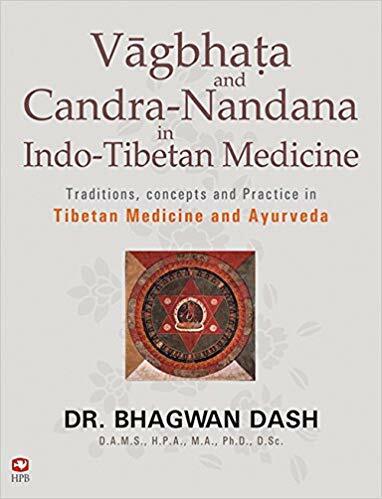 His disciple Candra - nandana, the author of a masterly commentary on his mentor's work and a multi - dimensional genius was also a victim of this sectorial quarrel. He wrote the Padārtha - candrikā commentary on Aṣṭāṅga - hṛdaya. This commentary is not available in original Sanskrit (only one section of it is published) and the complete commentary in Tibetan translation is presently available in Tanjur scriptures. The present book based on the work of this eminent scholar of Tibet, solves many of these riddles.